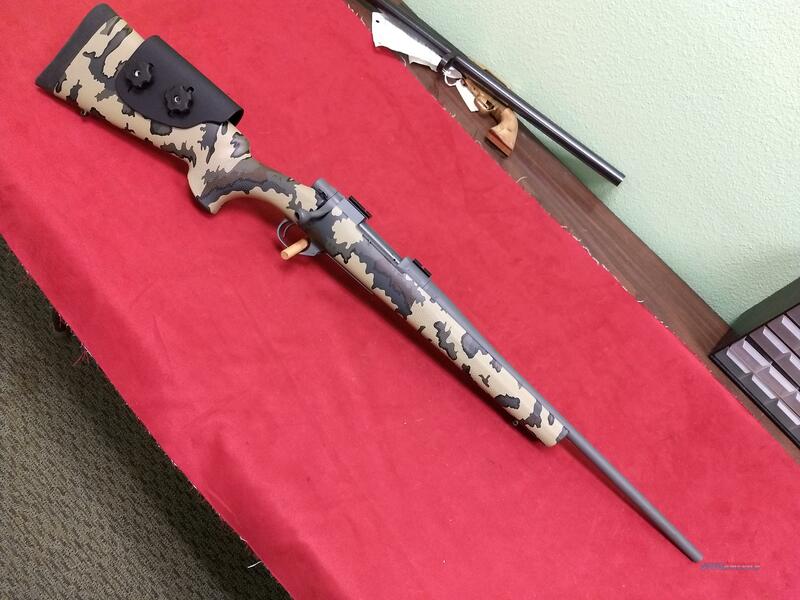 Description: Howa’s venerable 1500 barreled action paired with a Hogue pillar bedded stock featuring an adjustable comb and a recoil pad. The stock also features the industry's most innovative new Kuiu camo pattern, the Vias. Kuiu’s objective in the Vias was to make the pattern more effective in a broader range of environments. The pattern matches perfectly with the corrosion and abrasion resistant Cerakote Tactical Grey finish on the barrel and action. This firearm is in like new condition, has a 20" barrel, is equipped with front and rear Weaver scope bases, and is chambered in .223 Remington*. No factory box or papers.